Alright. I’m doing it. I am stepping onto the train that is the One Room Challenge. 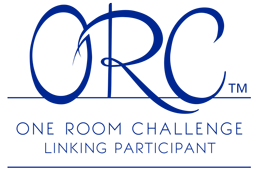 It’s been awhile since I’ve joined the ORC, so for those that don’t remember or if you’ve perhaps not heard of the One Room Challenge, this is a 6-week event where bloggers all over the world redo one room. The ORC has grown over the years, and it’s now a massive event with featured designers, sponsors and some serious, serious projects. My project this time around is not that. I want to redo the dining room. Really, if I can just paint the walls, I’ll be happy. That doesn’t seem up to the level that is the One Room Challenge. However, a main feature of the ORC is how inclusive it is. All people, all projects are welcome. 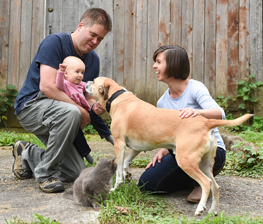 This is a motivating, inspiring, encouraging undertaking. The dining room. The (third) last untouched room in our house (the other two are the kitchen and bathroom which will be a completely different scale of renovation). So let’s call it the last untouched room, okay? The china cabinet is the big question mark in this project. A couple of years ago, I’d absolutely be able to finish both the walls and the cabinet. However, since my new crew member arrived last year, project time has been pretty much reduced to nap times… although she does try to be helpful. Stick around and see how far I we make it. And visit One Room Challenge to check out all of the other participants. I keep wanting to do an ORC but it’s not going to happen this time either. I’m sure you can do it! It looks like you have an excellent clean up crew! IMO the timing of the spring ORC is challenging. I’m aware that the weather is going to warm up soon, the ground will dry out, and I will want to be outside! My crew is first class. Her enthusiasm is helpful, even if her technique needs work. I don’t know as simply painting the walls counts as the deep end, but it feels like it to me these days! Thanks for the encouragement. It’s the deep end because of the ratio of it to the rest of your life! I agree with the deep end comment above! Even a small list these days feels like a huge undertaking. A little bit of paint can go a long way, though. ‘Tis the season we’re in right now. Part of DIYing with a baby is jumping in and being satisfied with how far you make it!